You’ve probably received direct messages on Instagram or emails to buy followers. There are even apps out there where you can buy followers. This might seem appealing if you don’t have many followers, but we are here to warn you against it. There are a lot of different reasons why you shouldn’t buy Instagram followers or even likes and comments for that matter. This won’t benefit you long-term and may even be reason enough to get your account banned. 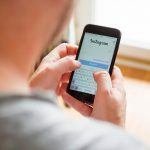 Here are the top reasons you shouldn’t buy fake followers on Instagram. When you purchase followers, you are purchasing fake bot accounts most of the time. These robots won’t engage with you and if they do, it’s usually a “Nice post” comment. If you are a business, having these comments on your account won’t do anything to help you generate business. If you are too focused on how many followers you have instead of how many followers you have that actually engage with you, this will set you up to fail. When you post something on Instagram, obviously you want people to like your post and engage with it. At the end of the day, it’s better to receive actual comments from people who may be interested in your business than bots who think you have a nice post. Real followers turn into potential customers. Bots turn into spam on your page. Are fake followers really worth the spam? 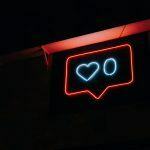 If you need to buy your followers to grow your account, you should reevaluate your entire Instagram marketing strategy. 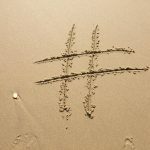 You can easily gain followers by engaging with the right accounts, using proper hashtags, and posting awesome content. When your followers see that you have a lot of followers but low engagement on your posts, this is a huge indicator that your followers are fake. As a result, you lose your credibility. This can prevent your followers from doing business with you. If you’re still on the fence about buying fake followers, it’s important to know that buying fake followers is against Instagram’s terms and conditions. If they find that you purchase fake followers, they will purge those followers and potentially suspend your account. If you continue to break terms and conditions, you may lose your account indefinitely. Is potentially losing your account worth the risk of fake followers? Before ever doing business with another account, you should pay attention to how their account acts for several months. If you find that they keep pushing you to advertise on their account because of how many followers they have, this can be a red flag. Ask to see screenshots of their insights to see how many impressions their posts get. If you think the number is too low for how many followers they have, steer clear. In addition, if you see that their posts don’t get much engagement and yet their followers keep growing, this is a red flag that their followers are fake. Make sure that you’re not doing business with an account that buys fake followers; otherwise, you’re wasting your money as well. Now that you know about the dangers of buying followers, you should steer clear from these apps and ads you receive. Save your money and instead invest it in a proper Instagram strategy and advertising on accounts you can trust. Give Practice Affiliate a call or fill out our online form to learn more about Instagram marketing for your plastic surgery Instagram.